Economy – overview: Before the dissolution of Yugoslavia, the Republic of Croatia, after Slovenia, was the most prosperous and industrialized area, with a per capita output perhaps one-third above the Yugoslav average. 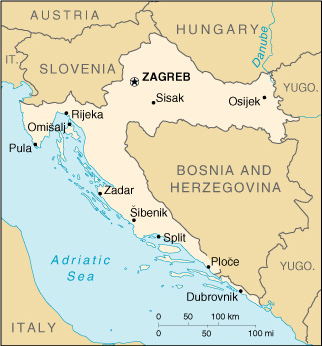 Croatia faces considerable economic problems stemming from: the legacy of longtime communist mismanagement of the economy; damage during the internecine fighting to bridges, factories, power lines, buildings, and houses; the large refugee and displaced population, both Croatian and Bosnian; and the disruption of economic ties. Stepped-up Western aid and investment, especially in the tourist and oil industries, would help bolster the economy. The economy emerged from its mild recession in 2000 with tourism the main factor. Massive unemployment remains a key negative element. The government’s failure to press the economic reforms needed to spur growth is largely the result of coalition politics and public resistance, particularly from the trade unions, to measures that would cut jobs, wages, or social benefits.